Did you know that more than 200 million bottles of Burgundy wine are sold every year? And we highly recommend you savour some on your wine-tasting cruise. Tour the Côte de Beaune vineyards and stop by the Maison des Vins in Chalon-sur-Saône for regional wines. Burgundy’s rivers and canals are a rich habitat for wildlife. Along the Saône and Doubs you’ll find 42 species of mammals, 30 species of fish and 160 species of birds! Watch for bee-eaters, little ringed plovers, kingfishers, golden orioles, and even the common cuckoo. Dining in fine restaurants should be part of your Burgundy boating holiday. Try a flan filled with Burgundy snails at Maison Lameloise in Chagny, a 3-star Michelin favourite. How about Idéal mâconnais, a cake made with meringue and butter cream filling? Or pain d’epices (ginger cake)? A fishing holiday in Burgundy means angling for carp, pike, zander, perch and bream. But the real lure for the passionate angler lurks in the depths of the Saône — Silurus glanis (giant catfish). Try the waters near Beaune. In Vioménil amidst the beautiful Vosges Mountains, the Saône River bubbles crystal clear, draining the hills and valleys along its run of 480 kilometres (298 miles) to the Rhône River at Lyon. 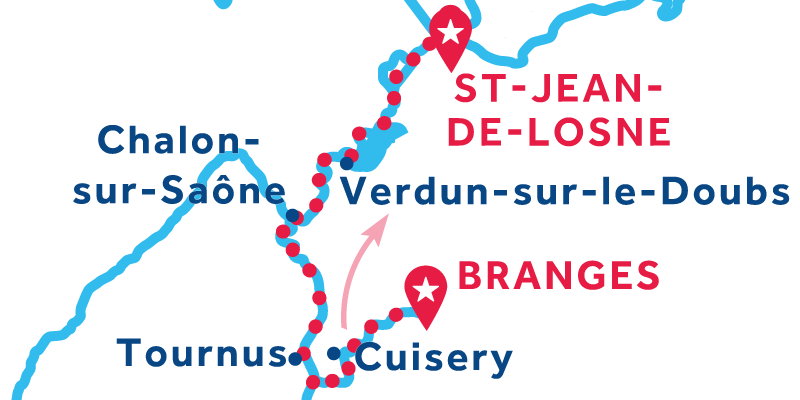 A Burgundy map shows that it’s navigable from Corre all the way to Lyon, a beautiful stretch spanning 371 kilometres (230 miles). Your Burgundy boat hire in France covers some of the prettiest waterways, which include adjoining canals and major tributaries! The river’s source is 396 metres (1,300 feet) above sea level, and the river makes most of its fall before Gray. From Gray all the way to the Rhône the drop is only 34 metres (111 feet). 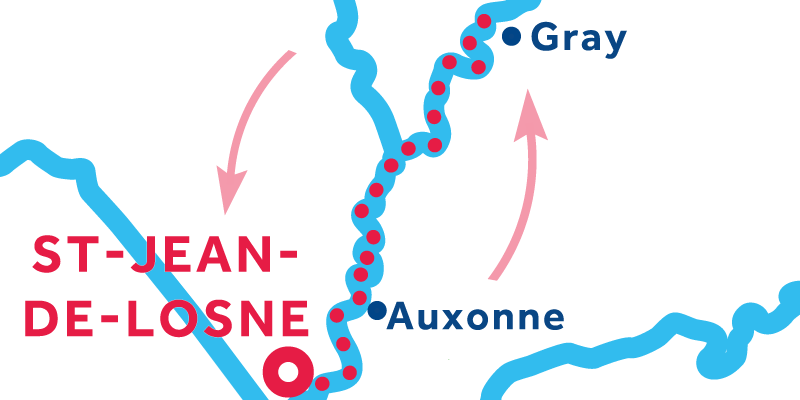 This means that the Saône is a very gentle river — slow, wide and peaceful below St. Jean-de-Losne on the Big Saône. It is narrower and more rural above Axonne on the Petit Saône. Emerald Star outside of Ireland is known as Le Boat. If you book a destination outside of Ireland your booking will be with Le Boat and our boats and bases proudly display our Le Boat brand. But don't worry, you will still receive the same great service that you would get from our Emerald Star bases in Ireland. Le Boat is Europe and Canada's 'Number One' boating holiday provider and, like Emerald Star, have been operating on the waterways of Europe for 50 years. Your holiday is in safe hands. Roman legionnaires cherished a sacred spring in Chalon-sur-Saône named after the Gallic river goddess Souconna. They called the entire river Sou-conna, and the name eventually stuck. However, the Romans also called the river Arar, which loosely translated means two rivers that fit together. The name arose from the confluence of the River Doubs with the Saône. 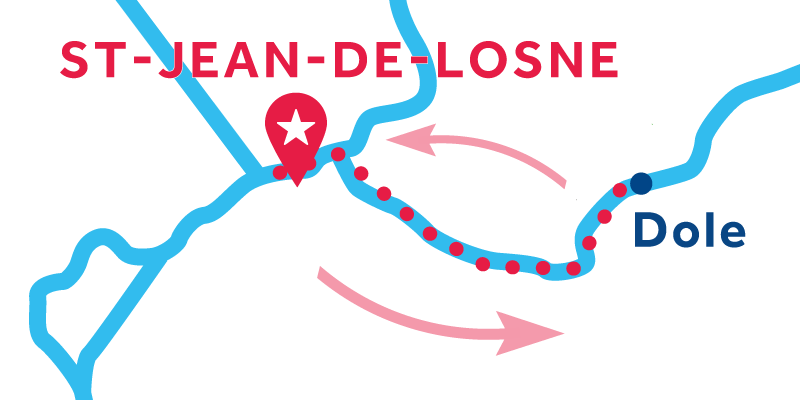 Seneca described the Saône as “a hesitant river” that couldn’t make up its mind about which way to go! 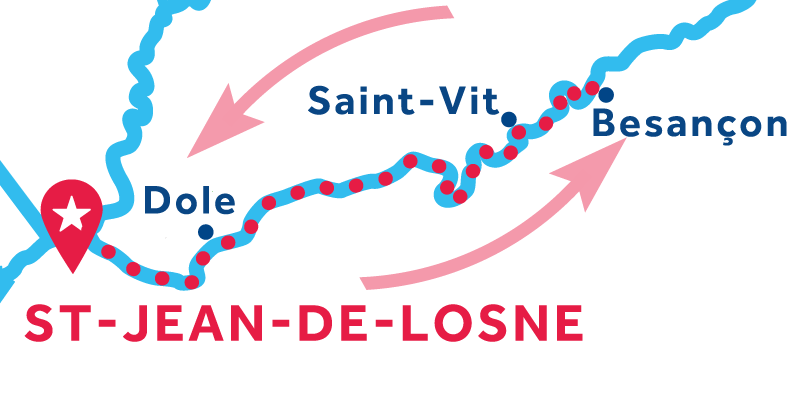 The Petit Saône, Big Saône and the Seille River are all easy to navigate and suitable for beginners. The adjacent canals are also gentle and inviting. The locks on the Seille River are self-operated. The locks on the Petit Saône are automatic and have lock keepers; others are self-operated. 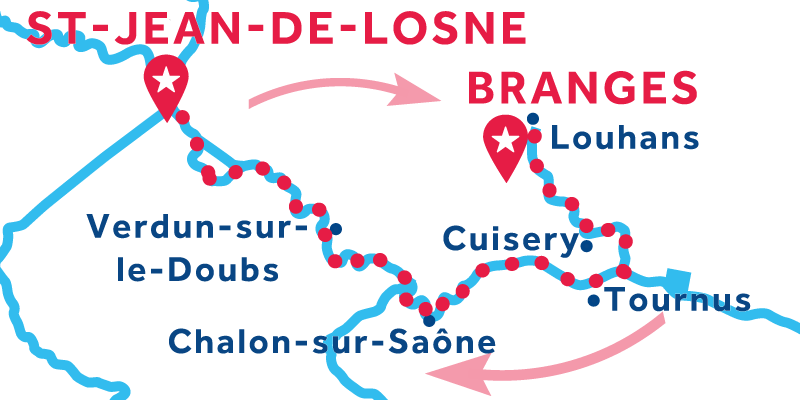 On the Big Saône, you’ll find three large automatic locks with lock keepers between St. Jean-de-Losne and Mâcon. On the Canal des Vosges, Canal de Bourgogne and the Canal du Centre, all locks are automatic. 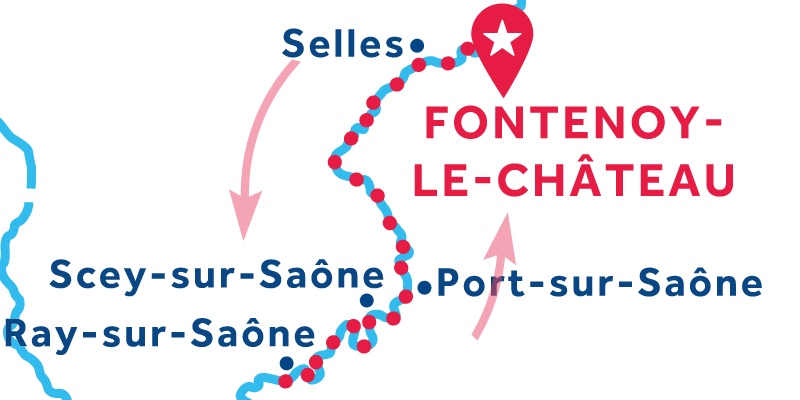 Opening hours: Petit Saône locks operate from 09:00-19:00 (7:00 p.m). They are closed for lunch from 12:30-13:30 (1:30 p.m.). Big Saône locks operate from 06:00-21:00 (9:00 p.m.). No lunch closures. Fontenoy le Château: Closed 1st May & 1st November. St Jean-de-Losne: Closed 1st May, 14th July & 1st November. Branges: Closed 1st May, 14th July & 1st November. There are numerous well-equipped moorings on the Seille River. Mooring on pontoons or in a harbour is compulsory on the Big Saône. Fontenoy-le-château has an interesting history so be sure to visit the museum and numerous churches. Discover the old paved streets and alleyways where time seems to stand still, visit the Tower of the Lombards and maybe take a look at the château ruins. A picturesque and welcoming town, Port-sur-saône has much to offer. Visit an old eighteenth century church, and discover the charming will of the sixteenth century. You'll also want to see the maginificent, eighteenth century bridge: 13 arches long, it spans across all of Saône, offering you wonderful landscape views. With its tall tower houses, Scey-sur-saone welcomes you with many vestiges of the past. Visit the beautiful eighteenth century church, and walk along the banks of the Saint-Albin canal. The Scey-sur-saone castle cannot be toured but it remains a great sight to see. For being so small, this town has a lot of history. Ray-sur-Saône has kept its soul over the centuries, as you will see. Discover the former wash basin of the village, and the beautiful Saint-Anne church. The expansive Ray-sur-Saône castle dominates the valley and is open for tours. Gray is a bustling town, steeped in history with fascinating preserved buildings that you can visit. Most notably are the Eglise, and the fortified chateau of Baron St. Martin, which is now an art gallery & museum. Sometimes referred to as the jewel of the Saone valley", or " the second capital of Haute-Saône", Auxonne was a strategically important fortified town in the middle ages. Nowadays, it is a market town. Seat of the Burgundy dukes, it is one of the most attractive cities of provincial France and the historic capital of Burgundy. Discover Dijon and its mediaeval centre full of history, interesting buildings and monuments. Climb the 315 steps of the Philippe le Bon Tower for a splendid view over the rooftops of the city's well-preserved medieval quarter. Saint-Jean-De-Losne has seen numerous wars during the last few centuries, and was named "Belle-Defense" by the king. There are several downtown monuments about this. Walking through the streets, or over a beautiful bridge, you can also catch sight of Saint-Jean-Baptiste's church. A wonderful city. The port is situated in a very picturesque part of the old town, directly below the magnificent cathedral, less than 100 metres from the old quarter of tanneries. This part of Dole is made up of narrow cobbled streets, and very old houses. You can visit the house where the scientist Louis Pasteur was born, and numerous churches. Besançon has many gems including its vast parks, wide boulevards and the Battant Quarter which was originally settled by wine-makers. You'll see some beautiful architecture here including seventeenth century facades fronted by wrought-iron balconies. The Citadel was built by the great military architect, Vauban, and offers magnificent views over the city and the river Doubs. This pretty and calm village is great for leisurely strolls. There are numerous houses just over the water that you can see when you cross the beautiful Floerew bridge. Verdun-sur-le-Doubs is a good place to stop and relax a bit. Along the Saone, influenced by the history of the Burgundian kingdoms, is Chalon-Sur-Saone. Discover its long and complex history and its beautiful monuments. The market place, with the Saint-Vincent cathedral, is magnificent to see. A truly beautiful city. Chagny is a pretty town, with plenty of restaurants, including the famous Lameloise. Among the numerous shops, the 18th century apothecary is always interesting. If you have time, visit the contemporary art gallery. Santenay is one of the villages that played host to the famous Burgundy duke, Phillipe le Hardi. His castle is still there and can be toured. There are also vineyards and a casino in this exciting and pretty town. Welcome to Tournus, a wonderful city filled with medieval monuments and vestiges. Here, you will have the opportunity to discover the beautiful Saint-Philibert church, with its high medieval tower covered in green ivy. The well-preserved abbey palace is also wonderful to observe and a great place to go for a walk. Cuisery is one of the four famous Book Villages of France. There are more than a dozen book shops selling collectors' items in gravure, lithography, illuminated text, early comics, etc. You will surely enjoy this cultural visit. The Church of Notre Dame is also pleasant to visit. Welcome to Branges, a calm and peaceful town. Take the opportunity to cycle along the canal banks, and explore the area. Downtown, you can have a drink on the terrace of a French village bar. Louhans is a pretty city where you can enjoy walking along the beautiful arcades, where there are many shops and beautiful old buildings to see. Church Saint-Pierre, with its burgundian roof, is beautiful. Try the local speciality chicken, called Poulet de Bresse. A scenic town nestled next to a canal, Seurre is known for being the native village of the famous French writer, Bossuet. His house can still be visited and has been transformed into a little museum. In Seurre, you can enjoy a local popular dish, the pôchouse serruoise, made from fish. Following the River Saône, you will enjoy a picturesque cruising in a land of natural beauty, fine wines and gourmet cuisine. 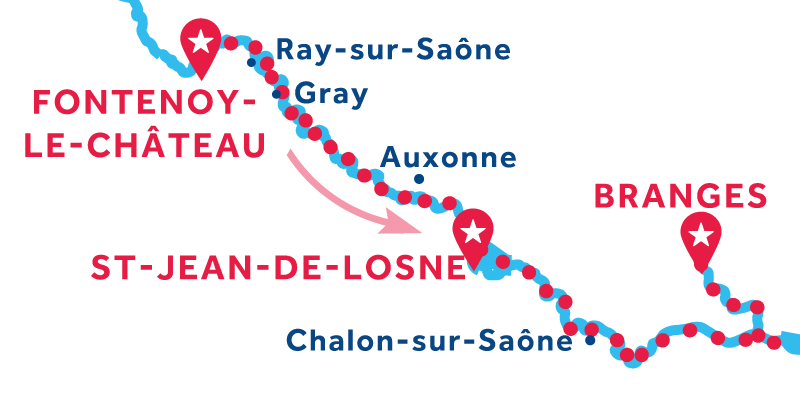 Discover the splendid châteaux near Scey-sur-Saône, visit the city of Châlon-sur-Saône and taste fine wines from the Côte de Beaune’s premier cru vineyards nearby, and stop for an historic walk in the roman town of Tournus or in the military town of Auxonne. Fontenoy-le-Château: Fontenoy-le-château has an interesting history so be sure to visit the museum and numerous churches. Discover the old paved streets and alleyways where time seems to stand still, visit the Tower of the Lombards and maybe take a look at the château ruins. Selles: This small village is famous for its swing bridge, “Le Pont Tournant”, which dates from 1886. Moor close to the restaurant of the same name to visit the town’s historic washhouse, fountain and old church. Take the opportunity to stock up on delicious goats’ cheese at the Biodéal Rousey Cheese Factory, then cycle to visit the glassworks in nearby Passavant-la-Rochère, where the traditional art of glass blowing has been practiced since 1475. Port-sur-Saône: A picturesque and welcoming town, Port-sur-saône has much to offer. Visit an old eighteenth century church, and discover the charm of the sixteenth century. You'll also want to see the magnificent, eighteenth century bridge: 13 arches long, it spans across all of Saône, offering you wonderful landscape views. Scey-sur-Saône: With its tall tower houses, Scey-sur-saone welcomes you with many vestiges of the past. Visit the beautiful eighteenth century church, and walk along the banks of the Saint-Albin canal. The Scey-sur-saone castle cannot be toured but it remains a great sight to see. Ray-sur-Saône: For being so small, this town has a lot of history. Ray-sur-Saône has kept its soul over the centuries, as you will see. Discover the former wash basin of the village, and the beautiful Saint-Anne church. The expansive Ray-sur-Saône castle dominates the valley and is open for tours. Gray: Gray is a bustling town, steeped in history with fascinating preserved buildings that you can visit. Most notably are the Eglise, and the fortified chateau of Baron St. Martin, which is now an art gallery & museum. Auxonne: Sometimes referred to as the jewel of the Saone valley", or " the second capital of Haute-Saône", Auxonne was a strategically important fortified town in the middle ages. Nowadays, it is a market town. Saint Jean de Losne: Saint-Jean-De-Losne has seen numerous wars during the last few centuries, and was named "Belle-Defense" by the king. There are several downtown monuments about this. Walking through the streets, or over a beautiful bridge, you can also catch sight of Saint-Jean-Baptiste's church. Verdun-sur-le-Doubs: This pretty and calm village is great for leisurely strolls. There are numerous houses just over the water that you can see when you cross the beautiful Floerew bridge. Verdun-sur-le-Doubs is a good place to stop and relax a bit. Chalon-sur-Saône: Along the Saône, influenced by the history of the Burgundian kingdoms, is Chlaon-Sur-Saône. Discover its long and complex history and its beautiful monuments. The market place, with the Saint-Vincent cathedral, is magnificent to see. A truly beautiful city. Tournus: Welcome to Tournus, a wonderful city filled with medieval monuments and vestiges. Here, you will have the opportunity to discover the beautiful Saint-Philibert church, with its high medieval tower covered in green ivy. The well-preserved abbey palace is also wonderful to observe. A great place to go for a walk. Cuisery: Cuisery is one of the four famous Book Villages of France. There are more than a dozen book shops selling collectors' items in gravure, lithography, illuminated text, early comics, etc. You will surely enjoy this cultural visit. The Church of Notre Dame is also pleasant to visit. Branges: Welcome to Branges, a calm and peaceful town. Take the opportunity to cycle along the canal banks, and explore the area. Downtown, you can have a drink on the terrace of a French village bar. Varied and unique, France barge vacations in the heart of Burgundy have proven you made the right choice for a getaway! You leave the pretty town of Fontenoy-le-Châteaux and head out on the Canal des Vosges. You find yourself amidst beautiful scenery punctuated with pretty villages, each seeming to have its own palatial château! Relax and do some fishing on the River Saône! The call of vendors in the weekly market every Monday in Louhans reminds you that the ritual has gone on since medieval times. You bargain with merchants, and buy a baguette, some cheese and a bottle of wine. Then you head out on the River Seille. France barge vacations in Burgundy combine rural charm with watersports, shopping and fine dining! Seurre: A scenic town nestled next to a canal, Seurre is known for being the native village of the famous French writer, Bossuet. His house can still be visited and has been transformed into a little museum. In Seurre, you can enjoy a local popular dish, the pôchouse serruoise, made from fish. Louhans: Louhans is a pretty city where you can enjoy walking along the beautiful arcades, where there are many shops and beautiful old buildings to see. Church Saint-Pierre, with its burgundian roof, is beautiful. Try the local speciality chicken, called Poulet de Bresse. On a Pasteur Cruise boat rent in Burgundy, you depart from the bustling port of St. Jean-de-Losne with its cobblestone streets and impressive architecture. You make your way to the old port of Dole, birthplace of Louis Pasteur, and you stroll the beautiful parks and wide boulevards of Besançon, where the majestic Citadel dominates the skyline. Dôle: A wonderful city. The port is situated in a very picturesque part of the old town, directly below the magnificent cathedral, less than 100 metres from the old quarter of tanneries. This part of Dole is made up of narrow cobbled streets, and very old houses. You can visit the house where the scientist Louis Pasteur was born, and numerous churches. Saint-Vit: A small town where you can fill up at the supermarket, and discover the Osselle Cave (3km from the mooring). Stroll along the pedestrian-friendly pathway to admire the variety of its crystallisations, exceptional colours, stalactites, stalagmites and other geological curiosities. Close to the Doubs River, there’s a lake with a sandy beach, water slide, children’s playground, and volleyball and petanque courts. Besançon: Besançon has many gems including its vast parks, wide boulevards and the Battant Quarter which was originally settled by wine-makers. You'll see some beautiful architecture here including seventeenth century facades fronted by wrought-iron balconies. The Citadel was built by the great military architect, Vauban, and offers magnificent views over the city and the river Doubs. You’re a fan of history, and in this part of Burgundy you can’t resist poking about the museum honouring Napoleon Bonaparte in Auxonne. He attended artillery school in this lovely city in 1788, prepping for his future escapades. As you head north, you stop in the old trading port of Gray for a bite to eat — beef bourgignon or smoked sausage with a glass of local Chassagne-Montrachet! 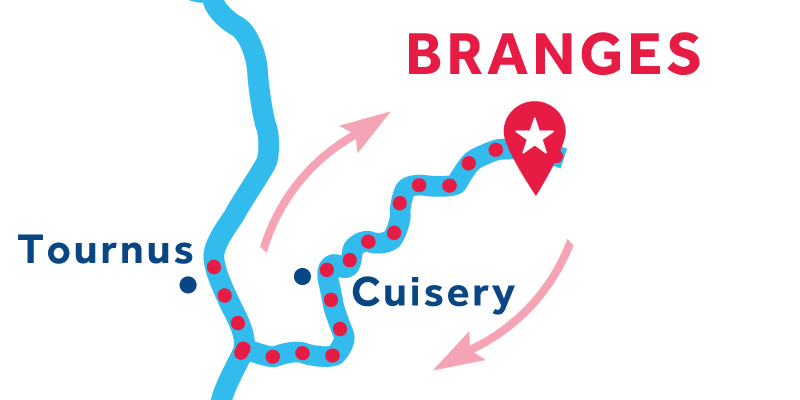 You'll start your cruise in Branges, a calm and peaceful town. Take the opportunity while you are here to cycle along the canal banks, and explore the area. Downtown, you can have a drink on the terrace of a French village bar. 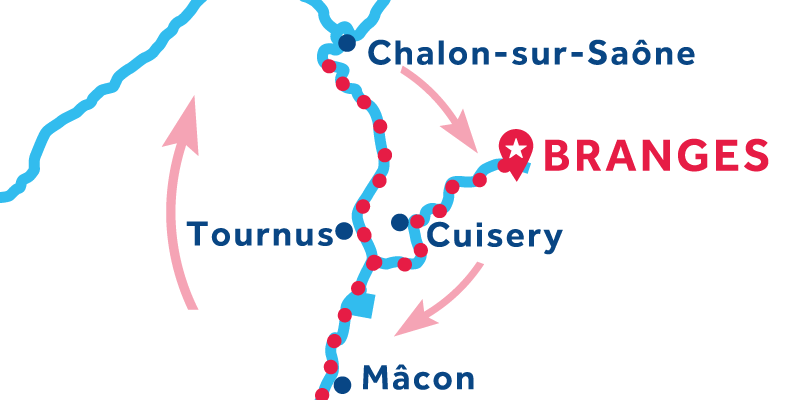 You'll then cruise to Chagny, taking in the picturesque villages of Cuisery, Tornus Chlaon-Sur-Saône along the way. Chagny itself is a pretty town, with plenty of restaurants, including the famous Lameloise. Among the numerous shops, the 18th century apothecary is always interesting. If you have time, visit the contemporary art gallery. Chagny: Chagny is a pretty town, with plenty of restaurants, including the famous Lameloise. Among the numerous shops, the 18th century apothecary is always interesting. If you have time, visit the contemporary art gallery. France barge vacations in the Maconnais-Beaujolais wine region of Macon indulge your palate with the local white wines. As you approach the city, which dates back 2,000 years, you can just taste the light and dry wine crafted from chardonnay and pinot blanc grapes. Another local favorite is Macon supérieur, a white wine with higher alcohol content. You’re up for that too! 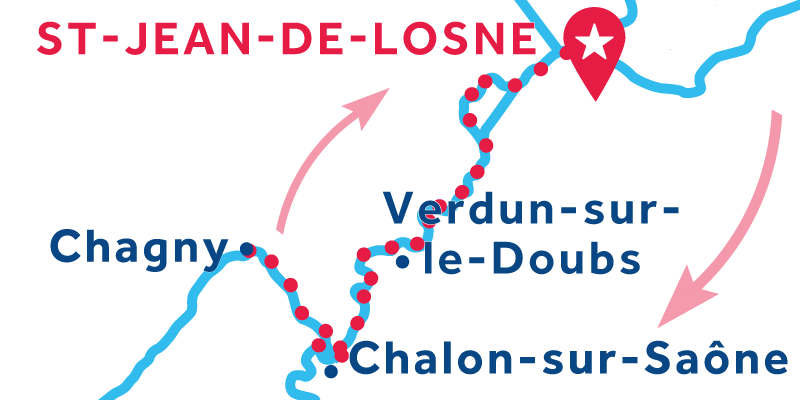 Pont-de-Vaux: Take the 3.5km long canal which will lead you to Pont-de-Vaux town. The town hall houses a small museum with local artists’ paintings. Behind the harbour master’s office there’s the House of Water and Nature, with exhibitions dedicated to wildlife and the environment, with multimedia displays that children will love. Try your hand at fishing at the lake, south of the port - day fishing licences are available at the Tourist Office. Mâcon: Mâcon is one of the oldest cities in France, and the capital of southern Burgundy. Despite its age, it was badly damaged during the religious wars so few relics of its past remain. One of its marvels is the Maison de Bois, built between 1490 and 1510, and certainly the most famous house in the city. Its wooden façade is decorated with a multitude of statuettes of monkeys and men. Stroll through the city and you’ll see St. Pierre church. Stop to admire its elegant twin spires which dominate over the town. 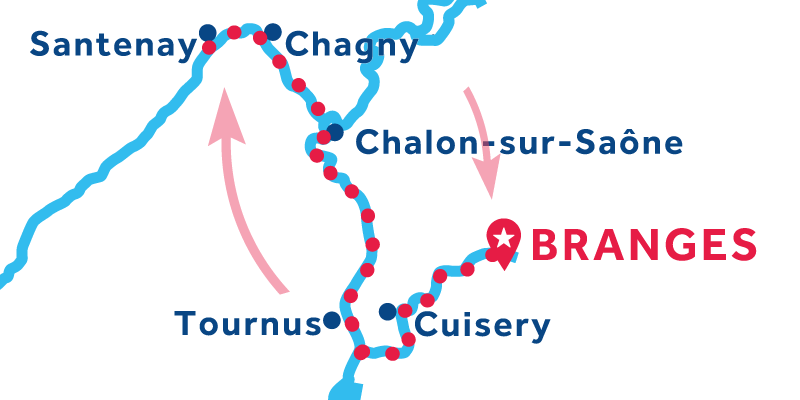 Follow down the River Saône up to the dynamic city of Châlon-sur-Saône then turn to the Canal du centre to reach the town of Chagny. You are now between 2 of the most famous vineyards of the World, the Mâconnais and the Côte de Beaune! Take the most of these fine wines by tasting them with some the local cheeses and gourmet cuisine! Just relax and make the most of the patrimoine and gastronomy of Burgundy! 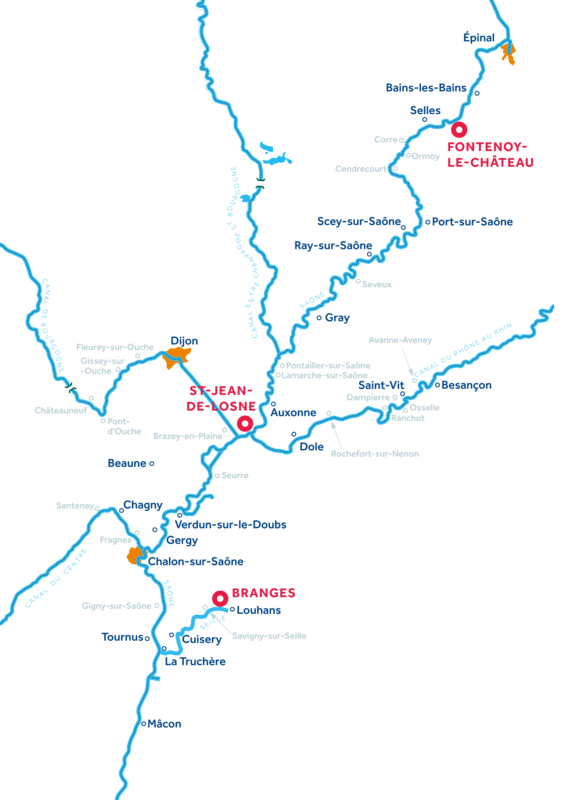 The Jura wine region lies off the stern as you head out from Branges on the River Seille at the start of your Burgundy boat rent in France. As you travel, the magnificent vineyards of the Mâconnais and Chalonnais spread out before you! Cycling along the towpaths into Roman villages and larger towns brings you close to land and its people. Relax with wine at a pretty café! 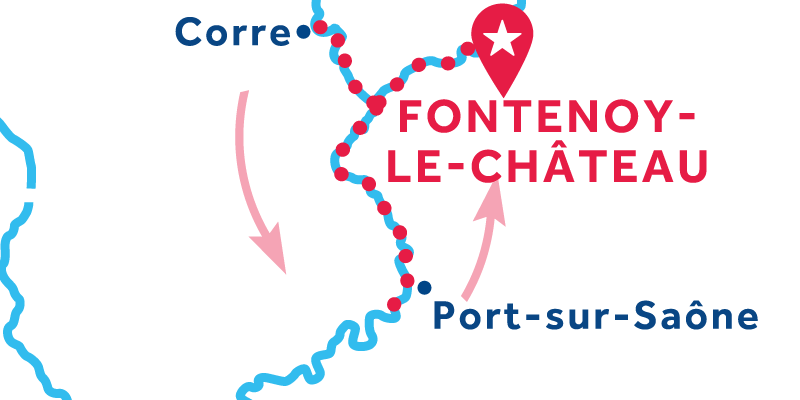 From Saint Jean de Losne, follow the Canal du Rhône au Rhin, immerge yourself in a part of the history of France! Discover the medieval city of Dôle and its listed monuments like the Louis Pasteur Museum. Along your way, taste the local specialties: you are nearby world famous vineyards of Burgundy and of the Jura! Billed as France’s largest centre for inland boating, the busy and picturesque town of St. Jean-de-Losne is situated at the junction of the Burgundy Canal and the River Saône. Museums, art galleries, restaurants, and modern facilities make this an ideal place to start your Burgundy boat rent in France! Gray and Auxonne invite you to linger! Saint Jean-de-Losne: Saint-Jean-De-Losne has seen numerous wars during the last few centuries, and was named "Belle-Defense" by the king. There are several downtown monuments about this. Walking through the streets, or over a beautiful bridge, you can also catch sight of Saint-Jean-Baptiste's church. You’ve discovered that boating in France offers you many pleasures! You’re travelling down the Canal des Vosges and meeting up with the River Saône, and all the way Burgundy’s stunning beauty surrounds you! 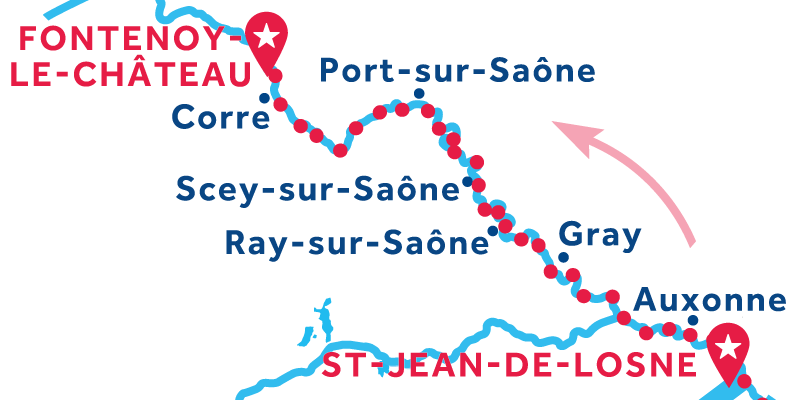 After cruising awhile, you stop in Corre to eat at a waterside café and to explore the museum, and then it’s off again to Port-sur-Saône for a spot of cycling and tennis! The boat moves gently on the River Seille toward beautiful Tournus, where you plan to stop for the night, dine in a café and explore. A Burgundy boat rent in France turns out to be exactly what you envisioned, a unique and relaxing way to see mediaeval cathedrals and small towns amidst a pastoral paradise of vineyards and forests. The arrival and departure services were excellent. Amazing holiday thanks to le boat. we had a very comfortable and clean cruiser which performed admirably and was easy to handle. The Horizon boat itself exceeded expectations and the team at our point of embarkation were very efficient, knowledgeable and friendly. This was our second such holiday with Le Boat and I am fairly sure that there will be a third! Total relaxation without the boredom of just lying on a beach - constantly changing scenery and one's own flexible itinerary. The woman that was attending to us was wonderful. She was full of excellent information. She was also alone and trying to deal with other charterers and was overwhelmed. She needs some help!!!!! Very relaxing. Will do it again. Very good. The only reason it does not get a five star is: 1. 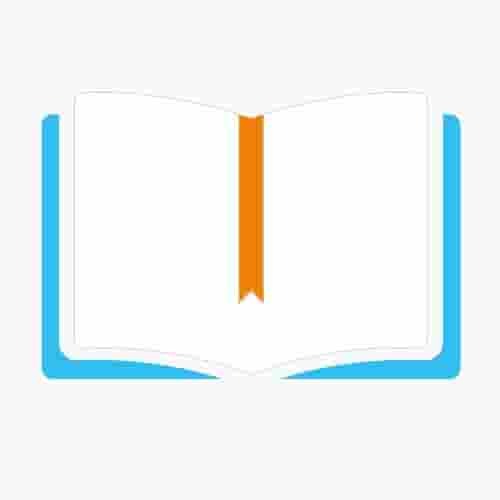 After payment of the full reservation fee, the Waterways Guide should be sent to the customer, price of the guide should be included. 2. We had one small window water leak issue we emailed about enroute, and got no response. 3. The starter pack of groceries should afford the customer to choose what items are wanted. 4. At the end of the cruise, the check out procedure, most importantly, the fuel charge issue, should be made more clear. The boat, weather, and route were very good. A little rain, but not much. This base allows you to escape from it all and enjoy the peace and tranquillity of central France. The delightful town of Épinal is not far to the north-east, although the many locks will mean it will take you a tiring week to get there and back – so we’d recommend a day trip by taxi or bike instead. To the south, the canal is lined with quiet and sleepy villages, punctuated by the relative bustle of Gray (20.5hrs from Fontenoy-le- Château) and historic Auxonne (7.5 hrs after that).